This article shows how to create an MVC application which uses google maps and Elasticsearch to do a geo_distance search and find the closest point (document) to your location. The Elasticsearch index uses a geo_point to define the location of each document. 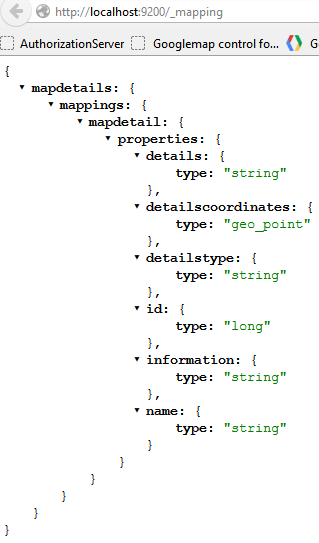 Elasticsearch supports GeoJson formats. The DetailsCoordinates property uses the GeoPoint class, which is used for the geo_distance search. The mapping in Elasticsearch is created using the IndexCreate method from ElasticsearchCRUD. The Geo types in Elasticsearch require an ElasticsearchGeoPoint attribute if its a geo_point, or an ElasticsearchGeoShape attribute if it’s a shape type. The Geo properties must be mapped and cannot be automatically created when indexing new documents. Once the index and the type has been created, some data is added using the _bulk API. The documents are all sent with the SaveChanges() method. The index and type in Elasticsearch is initialized in the global.asax Application_Start method. This checks if an index exists, and creates a new one, if it doesn’t. The index is queried using a geo_distance filter and query. This searches for all documents within the max distance and sorts the hit results from the closest to your search location in an ascending order. The razor index view uses this data in the map display. This closest document to your search location is displayed using a green image. All hits within the max search distance are also displayed in the map. You can move your center location around, increase or decrease the max allowed distances and the results will be displayed correctly. 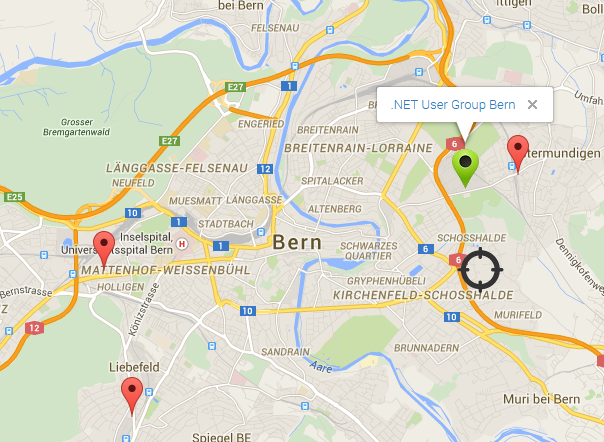 As you can see, it is really easy to do a Geo search using Elasticsearch. A whole range of Geo search filters are supported, Geo Bounding Box Filter, Geo Distance Filter, Geo Distance Range Filter, Geo Polygon Filter, GeoShape Filter, Geohash Cell Filter as well as most geoJSON shapes and a GeoShape query. Optimal searches can be created to match most requirements.